Do you have a better photo of Ezequiel? Lost to gun violence on October 16, 2018 in Washington, District of Columbia. 185 candles have been lit for Ezequiel. Light a candle for Ezequiel. Ask your friends to light a candle or come back tomorrow to light another candle for Ezequiel. 2 He was a warm, loving person who had a good heart and cared about others. 3 Fernando was a good man and doctor. He was a generous man and what happened to him is not fair. 1 The friendliest and most generous person. Rest In Peace, Fernando, you'll be sorely missed. 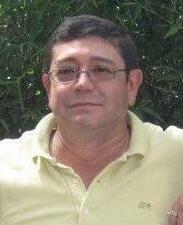 2 Fernando was my dear cousin's beloved husband, kind, generous and loving. 1 Worked with him as a Respiratory Therapist in New Mexico. kind and happy, full of life. 3 The Niger crew has you and Cece in our thoughts! 2 Cece and Nando. So many memories. Te amo.